Sky Bistro and Sunset Festival. Essaouira, Morocco. One of my favourite places. Dinner on The Northern Belle. Sunbridgewells. Welcome to the world of pure imagination. I first visited Essaouira in October 2013 with my husband Richard, my sister and brother-in-law. We flew to Marrakesh and as private transfers and buses seemed to be costly, we opted for the cheaper option of hiring a car. Big mistake. Big, big mistake! The drive between Marrakesh and Essaouira should take between 2-3 hours. It took us 2-3 hours just to get out of Marrakesh. The main road had 4 lanes. The traffic was made up of, lorries, wagons, cars, motorbikes, cycles, camels and donkeys. There did not appear to be any rules for the road, or even any indication which side to drive on, it was a free for all. Therefore on our next visit, we contacted the hotel to arrange our transfers, much less stressful. In May 2015, easy-jet started flying direct to Essaouira from Luton, now the transfer takes about 15 minutes. We still have a 2-3 hour drive from Yorkshire to Luton, but the drive in UK is nothing compared to driving in Morocco. 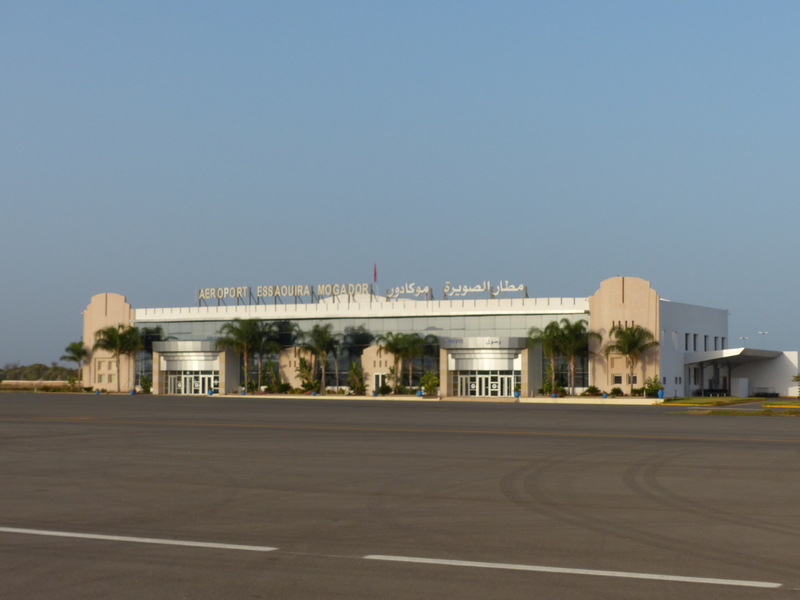 Essaouira Airport only has 4 flights a week. 2 from Luton and 2 from Paris. If you’re not one of the first off the plane, you have to queue on the tarmac to even access the building. Essaouira (Es-sweera) means little ramparts – a reference to its fortified walls, dating from the 18th century. Today the wave-lashed ramparts still enclose the Medina and were famously used in the opening scene of Orson Wells’ 1951 film Othello and more recently in The Hunger Games. As of 2001 the Medina was designated UNESCO World Heritage Listed City status. the photos below were taken on our trip in 2013. At the present time you are not able to access the ramparts as work is ongoing to make them safer (and they are also used occasionally for filming Game of Thrones). Visitors come to Essaouira for many reasons. Some to meander through the spice scented narrow streets of the medina. Taking in the jewel coloured wares of the souk. Bartering with the master-craftsmen, for the intricate wooden gifts they produce. Sitting at a street cafe in the plaza, watching the world go by. OK for those in the know, this is not a street cafe, but the rooftop bar of Taros, well worth a visit for the alcohol (not always easy to get in a Muslim country) and the stunning views. Watching the fishermen repair their nets and the traditional fishing vessels being constructed in the working port with its noisy, pungent atmosphere. The boat-builders supply fishing boats for the entire Moroccan coast and as far away as France. Some come for kite-surfing or to windsurf thanks to the strong coastal winds – Alizee in French or Taros in Berber. Hence the name of the rooftop bar. A centre for argan oil production, it has become a tourist attraction due to its tree climbing goats, who are unique to the region as argan trees are the only trees that goats can climb. one year we were picked up from Agadir Airport, our driver, who didn’t speak any English, stopped the car and made us get out. we thought we were being hijacked, until he pointed out the goats in the trees and used his hands to tell us to get the camera. we would have missed it without him. In June 2017, the Gnaoua Music Festival celebrated its 20th anniversary. The festival focuses on traditional gnaoua music, but also includes mass, pop, rock and contemporary music by musicians from across the globe. The festival sees up to 500,00 visitor over its 4 days. Many of the performances can be viewed for free. Essaouira is a place we come back to time and time again. When we arrive, it almost feels like coming home. Hopefully it won’t be too long until were back in one of my favourite places.